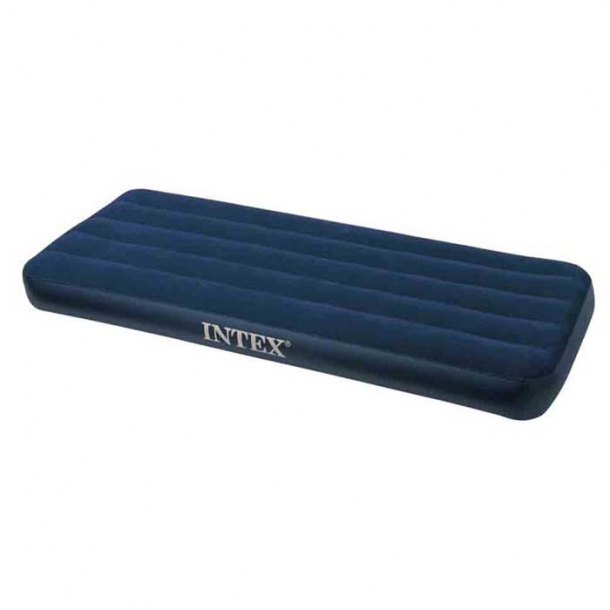 There are a variety of products available to aid you in a comfortable night's sleep whilst camping such as fold out camp beds and luxury super high flocked inflatable air beds. However these are too big and too heavy for camping on a motorcycle. So as a motorcyclist your options are by necessity limited. There is a huge array of various self inflating mattresses, foam mats and smaller single inflatable air beds. However none of these have proved to offer myself a comfortable night's sleep. I find both the foam and the self inflatable mattress too hard and also too cold. They are not good insulators from the cold floor underneath you if you are camping in the colder months. I tried the specialist camping blow up inflatable mattress that although initially very comfortable let me down literally in less than a week. The boyfriend's did the same a few days later so it was not a case of just having one faulty one. After spending a very uncomfortable night on a flat air bed in the middle of a small sleepy French village I purchased in desperation the next day a cheap lilo. Yep, just a common lilo made for the beach. I never expected it to be up to much, it certainly could not be more comfortable and more durable than a mattress specially engineered and manufactured for camping. I bought it because I simply could not endure another night flat on the floor and this was the only thing available to buy. Well a year and a half later guess what I am still sleeping on when camping? Yes that very same cheap little beach lilo. What a revelation! It is simply fantastic. It inflates sufficiently to insulate me from the cold ground. Its slightly curved sides cradle me in my sleep like a little cot. It has a separate inflatable pillow area that can be blown up for your own desired comfort. It is considerably lighter and smaller than the supposed specialist counterpart and after a year and half it has proved itself to be a hell of a lot more durable. It was also considerably cheaper. If you are larger then maybe have a look around and see if there are other lilos available that are bigger in width or even consider a double one. Just to make sure my lilo was not a fluke and I somehow got my hands on the only superior lilo ever made the boyfriend has ordered one for himself. Despite paying a small fortune for his own specialist self inflatable mattress he himself admits my little lilo is better. We shall keep you posted how he gets on with his. Even if this lilo only lasted 6 months I would still buy another because of the comfort and portability they afford. It has proved itself superior to any other form of camping sleeping bed I have ever tried. Well worth spending £5 on. If that link dont work, just type this number into the ebay search bar. The key is getting the RIGHT lilo. Sharon's lilo is now 3 years old and still going strong. With the small inflation hole it's a pain to blow up and deflate but it is comfortable for her and been completely reliable. I - however - following Sharon's lead purchased 2 similar lilos from Ebay. While camping in Scotland in February they both gave up the ghost in one day each. It seems the quality is incredibly variable and I definitely do not know which one is the right one to buy. boats, the weight is 2.2 Kg but then its the top, we have used them in several years, and swear to these,.. I have a similar item Henrik. The problem with those is the weight and the time it takes to blow them up - otherwise you also have to pack an electric pump. There's only so much you can get on a 125! They are blooming comfy though, nothing better than a deep airbed. And as you say, they float when the rain gets a little too hard.